At ESKO Technologies, we provide forward thinking information systems consulting to small and medium sized companies, focused on leveraging technology to increase business performance. Our expert consultants work one-on-one with your management team to understand your goals, core business processes, and current information systems capabilities. We will perform a comprehensive IT assessment and well-planned strategy to simplify your information technology environment and led the way to a more cost-effective and reliable IT infrastructure. ESKO Consulting Services are custom-tailored to your exact needs at a cost that fits your budget. ESKO is able to implement cloud computing services designed to bring enterprise level services to the small and midium sized businesses. Cloud Based Services ensure the safety, scalability, reliability, and 24/7 availability of your organization’s important data. Make your move to the cloud and practically guarantee the safety of your information flow, all at affordable price. ESKO will make this transition easy for you. Without having to build your own datacenter, or purchase any server hardware at all for that matter, these cloud services provide your business with near 100% availability. 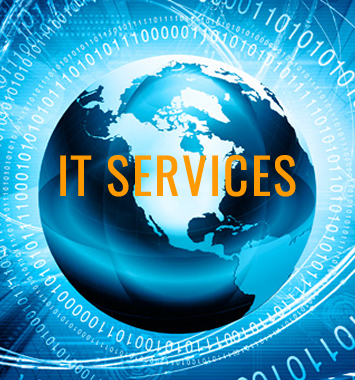 ESKO delivers proactive managed services designed to reduce your costs and increase your profits. The Internet has revolutionized how businesses operate, allowing us the ability to proactively monitor, manage, troubleshoot, and perform maintenance to your critical network devices and services as well as predict potential failures before they occur. Based on broad compatibility and a powerful alerting engine, ESKO Managed IT Services can manage any type of networking device (server, computer, router, printer, etc.) and provide instantaneous alerts if any system exceeds the defined thresholds of normal operation. Choose from one of our packaged offerings that fit your unique business needs. An important component to your business continuity or disaster recovery strategy is the capability to backup and store your data. We offers both a local and cloud based solution that provides automated backup, recovery and protection of critical data while exceeding industry standards for its level of encryption. This service provides remote backup to store, recover and protect your critical data whether it’s on laptops, desktops or servers. In today’s information age, safeguarding your data is critical. Protecting your valuable digital assets from loss, corruption, and theft is crucial to maintaining your business. ESKO Technologies concentrate in three major areas for Data Security: backup solutions, virus protection, internal, and perimeter (firewall/VPN) security. ESKO specializes in designing, implementing, and maintaining robust computer security, network security, and internet security systems, incorporating enterprise level antivirus, antispyware, firewalls, and Virtual Private Network (VPN).